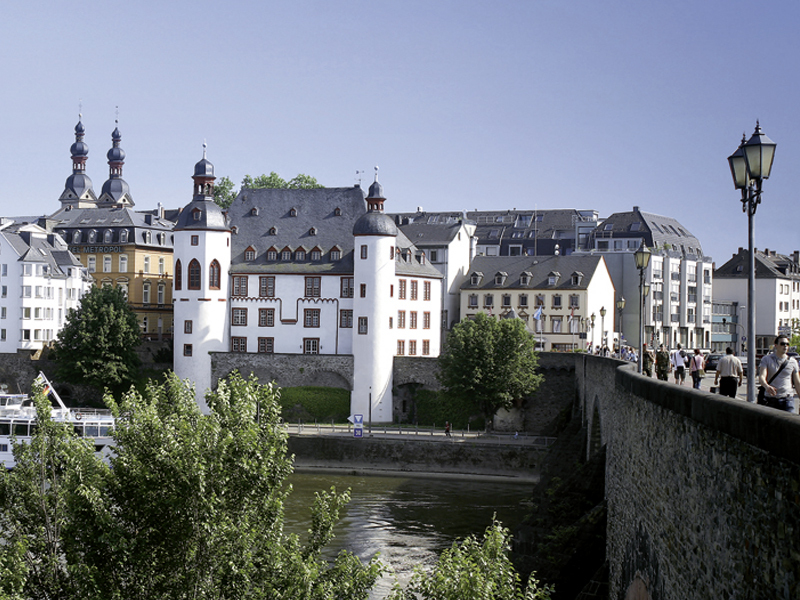 The Alte Burg is a former electoral moated castle from the 13th century, which was originally surrounded by a wide moat and a ring wall. 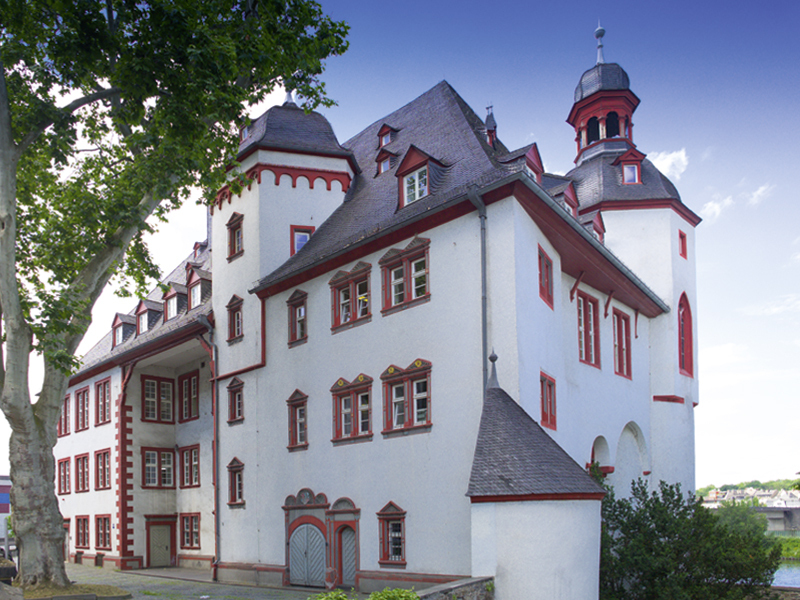 The von der Arken ministerial family constructed a residence on the remains of a Roman round tower in 1185. 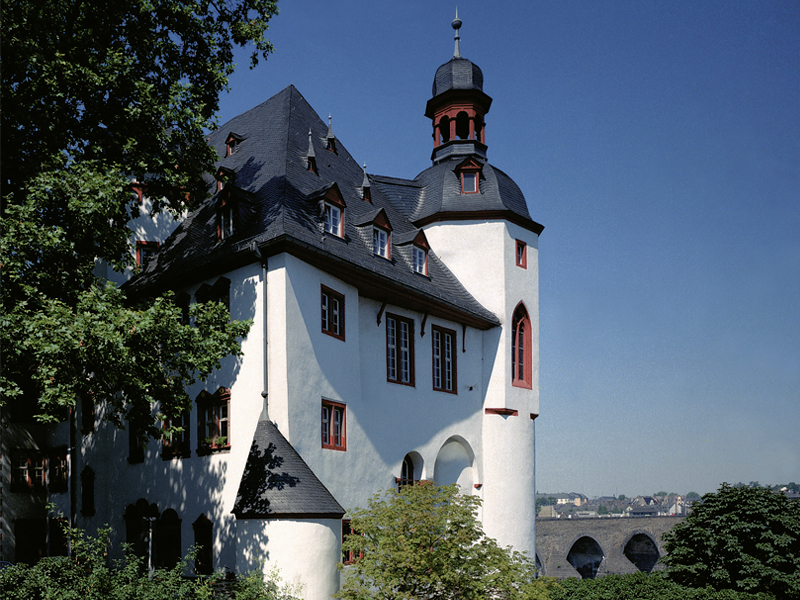 Heinrich II von Finstingen, Elector of Trier, then had the Alte Burg residence made into a stronghold to ward off the independence movement of the citizens of Koblenz in 1277. Further expansions and alterations were made under the archbishops Johann VI von der Leyen and Johann Hugo von Orsbeck. A sheet metal factory moved to the site in 1806 under French rule. 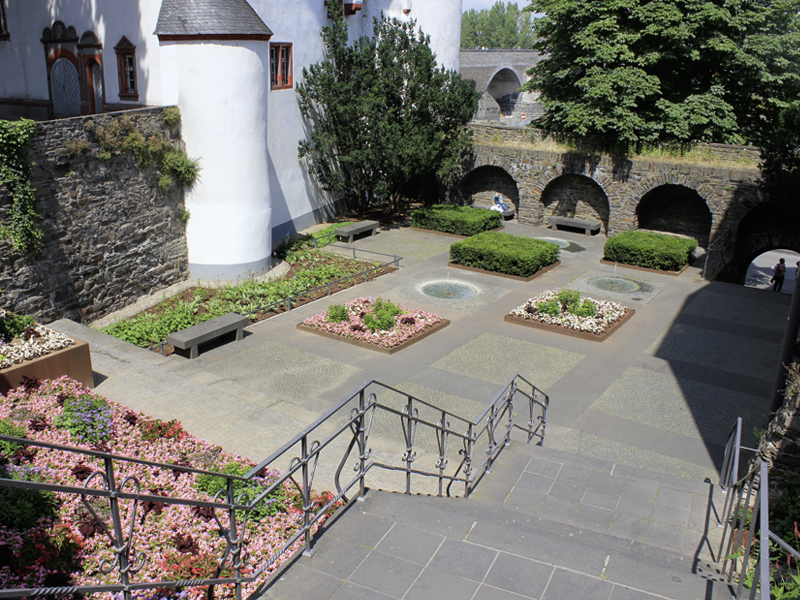 In 1897 this was closed again and the castle was sold to the city of Koblenz. 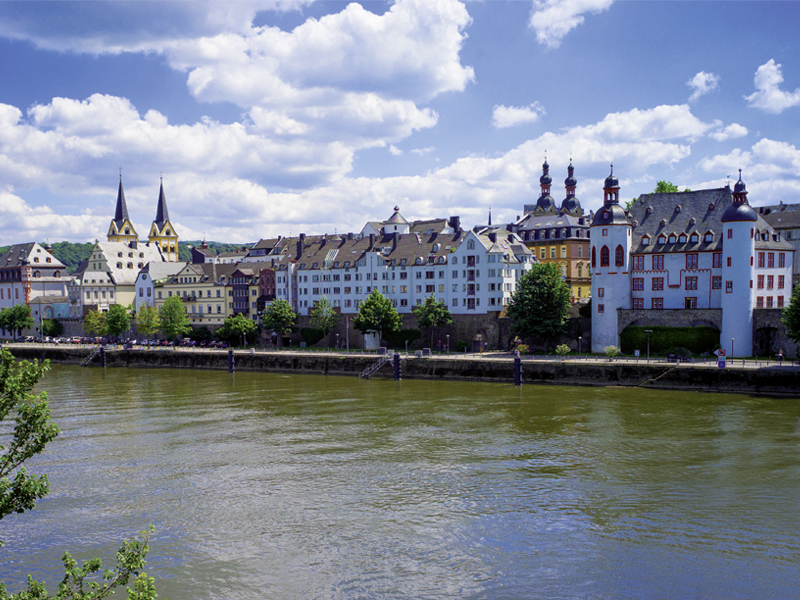 Today the Alte Burg houses the Koblenz city archives.